With truths drawn from his own personal experiences, youth pastor Shawn Harrison seeks to equip youth workers, parents, and churches in ministering to gay teenagers, their families, and the gay community at-large. The church must not compromise truth, he says, but it should not withhold grace either. How gay students first encounter God--personally and communally--and how Christians react to them can determine subsequent steps in their faith journey. Ministering to Gay Teenagers is filled with wisdom and practical advice on how to respond when a student comes out and how to help the teenagers family through that journey, too. This book will equip leaders and parents with solid answers to the questions families ask. And it will challenge youth workers and churches to consider how to practically serve and minister to a group of people who seek deep authenticity in love, character, truth, and presence. 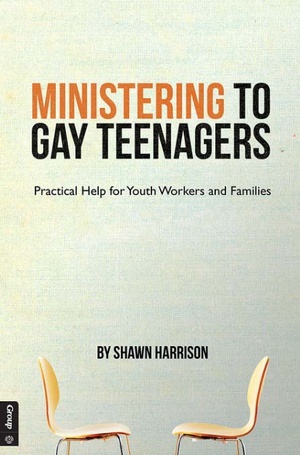 Ministering to Gay Teenagers was originally published in November 2012. This edition is revamped with approximately 80% new material incorporating wisdom the author has since learned, in addition to valuable feedback received from his youth ministry peers.